Christine Cox co-founded BalletX, Philadelphia’s premier contemporary ballet company, with Matthew Neenan in 2005. The BalletX team has produced more than 60 world premiere ballets by 33 renowned and emerging choreographers to date, reaching more than 68,000 dance patrons. Under her leadership as Artistic & Executive Director, the company has performed at prestigious national stages including The Joyce Theater, Jacob’s Pillow Dance Festival, and Vail International Dance Festival. Throughout her tenure, Cox has committed BalletX to expanding dance’s vocabulary for all audiences, promoting initiatives that make contemporary ballet accessible and welcoming to new audience members. In 2013, she and her team launched The X-Process, an engagement program that invites audience members to participate in pre-show conversations with choreographers, an interactive lecture series about contemporary ballet, and open rehearsals. Through the Dance eXchange education program, she has partnered with elementary schools from the Philadelphia School District to emphasize dance as a means to promote self-confidence and acquire valuable life skills, reaching more than 800 local students in its first four years. Cox also led a TEDx talk at the George School in December 2016 that was subsequently published online, building a bridge to help audiences understand our art form more fully. Cox has prioritized making both artistic and civic connections as a leader in her Philadelphia community. As an arts leader, she has served on review panels for the John S. and James L. Knight Foundation and New Jersey State Council on the Arts, and currently sits on the Advisory Board of the Philadelphia Arts & Business Council. 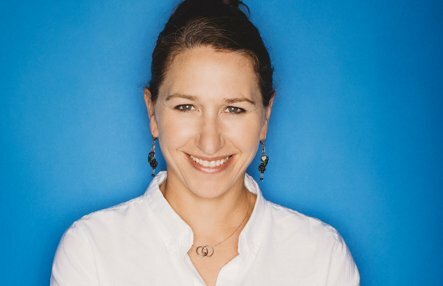 For her work as a choreographer, educator, and performer, Christine has been recognized with two Rocky Awards for Outstanding Achievement in the Arts, as well as fellowships from the Independence Foundation and Pennsylvania Council on the Arts. Cox was a full-time company member with the Pennsylvania Ballet from 1993 until her retirement from the stage in 2006. She trained in classical ballet at the Pennsylvania Ballet School and continued at the Performing Arts School of Philadelphia, spending summer sessions at the Joffrey and San Francisco Ballet schools. Some of her featured roles included Rum and Coca Cola in Paul Taylor’s Company B, Vortex in Alvin Ailey’s The River; Choleric in George Balanchine’s The Four Temperaments, Eve in Margo Sappington’s Rodin, Mis En Vie the Cowgirl in Agnes DeMille’s Rodeo, and principal female roles in Jerome Robbins’ Fancy Free and The Concert. During this time, Cox served for ten years as the rehearsal assistant of the children’s corps for Pennsylvania Ballet’s annual production of Balanchine’s The Nutcracker. Prior to joining the Pennsylvania Ballet, she danced with BalletMet (Columbus, OH), as a guest artist with Ballet Hispanico (New York, NY), and with the American Repertory Ballet. Tara Keating began her training at the age of seven at Pioneer Valley Ballet in Northampton, Massachusetts. She received her BFA in Dance at the Juilliard School, under the direction of Benjamin Harkarvy. While there, she was awarded the Jerome L. Greene Fellowship and the ‘Most Outstanding Dance Major’ award from the National Dance Association. She has danced professionally with American Repertory Ballet, “Tharp!,” and as a soloist with the Pennsylvania Ballet. Throughout her career she has originated roles in world premieres by such renowned choreographers as Jorma Elo, Jodie Gates, Annabelle Lopez Ochoa, Trey McIntyre, Matthew Neenan, Helen Pickett, Septime Webre, and Christopher Wheeldon, among others. In 2005, she became a founding member of BalletX, and danced in nearly every performance until her retirement in 2012. She has staged numerous ballets on BalletX, and has set Neenan’s work on Pennsylvania Ballet, Milwaukee Ballet, Oregon Ballet Theatre, Nevada Ballet Theatre, SUNY at Purchase College and Bucknell University. Tara was the Producing Director in 2006 and 2007 for Shut Up and Dance, an annual benefit for MANNA, created by the Dancers of Pennsylvania Ballet. She was also the recipient of a 2002 City Paper Choice Award. She is on faculty at The University of the Arts and is a guest teacher at various schools in the region. 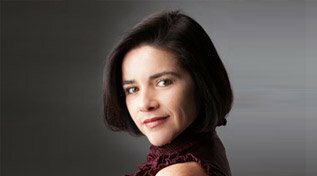 Tara served as BalletX’s Artistic Coordinator and Ballet Mistress from 2011 to 2013, and was named Associate Artistic Director in February 2014. Matthew Neenan began his dance training at the Boston Ballet School and with noted teachers Nan C. Keating and Jacqueline Cronsberg, and later attended the LaGuardia High School of Performing Arts and the School of American Ballet in New York. From 1994-2007, Matthew performed with the Pennsylvania Ballet where he danced numerous principal roles in works by George Balanchine, John Cranko, Paul Taylor, Peter Martins, Val Caniparoli, Jorma Elo, Lila York, Meredith Rainey, Christopher Wheeldon and Jerome Robbins. In October 2007, Matthew was named Choreographer in Residence at the Pennsylvania Ballet. Matthew’s choreography has been featured and performed by BalletX, Pennsylvania Ballet, The Washington Ballet, Colorado Ballet, Ballet Memphis, Milwaukee Ballet, Juilliard Dance, New York City Ballet’s Choreographic Institute, Sacramento Ballet, Nevada Ballet Theatre, Indiana University, Opera Philadelphia, and LaGuardia High School of Performing Arts (NYC), among others. He has received numerous awards and grants for his choreography from the National Endowment of the Arts, Dance Advance funded by the Pew Charitable Trusts, the Choo San Goh Foundation, and the Independence Foundation. In 2006, Matthew received the New York City Ballet’s Choreographic Institute’s Fellowship Initiative Award. Matthew’s Carmina Burana, As It’s Going, and 11:11 were performed by the Pennsylvania Ballet at New York City Center in 2006 and 2007. He has received four fellowships from the Pennsylvania Council on the Arts. In October 2009 Matthew was the grand-prize winner of Sacramento Ballet’s Capital Choreography Competition, and also the first recipient of the Jerome Robbins New Essential Works (NEW) Program Fellowship for his work At the border for Pennsylvania Ballet. 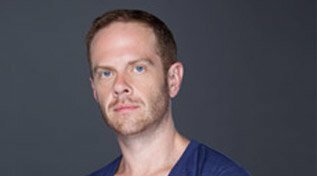 In 2005, Matthew co-founded BalletX with fellow dancer Christine Cox. BalletX has toured and performed Neenan’s choreography in New York City at The Skirball Center, Symphony Space, and Central Park Summerstage; Vail International Dance Festival; Jacob’s Pillow Dance Festival; The Cerritos Center; Laguna Dance Festival; Spring to Dance Festival in St.Louis; and internationally in Cali, Colombia and Seoul, Korea.